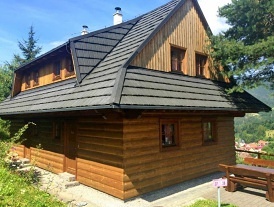 Drevenica Gabika - cottage Terchová - accommodation in Mala Fatra. 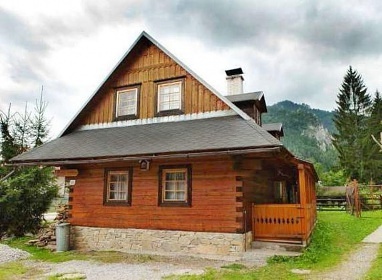 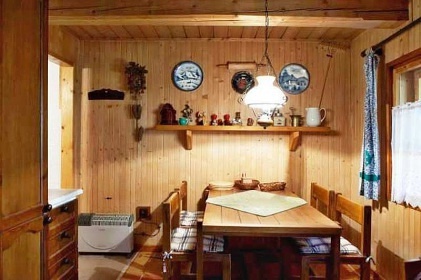 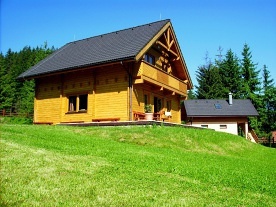 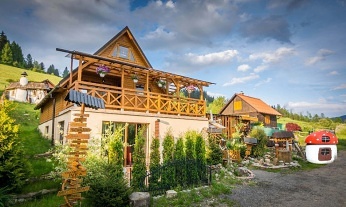 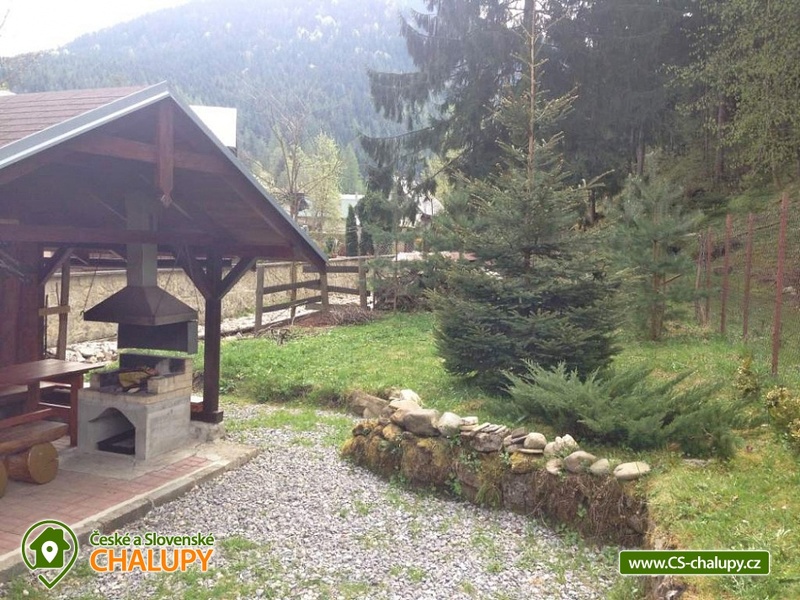 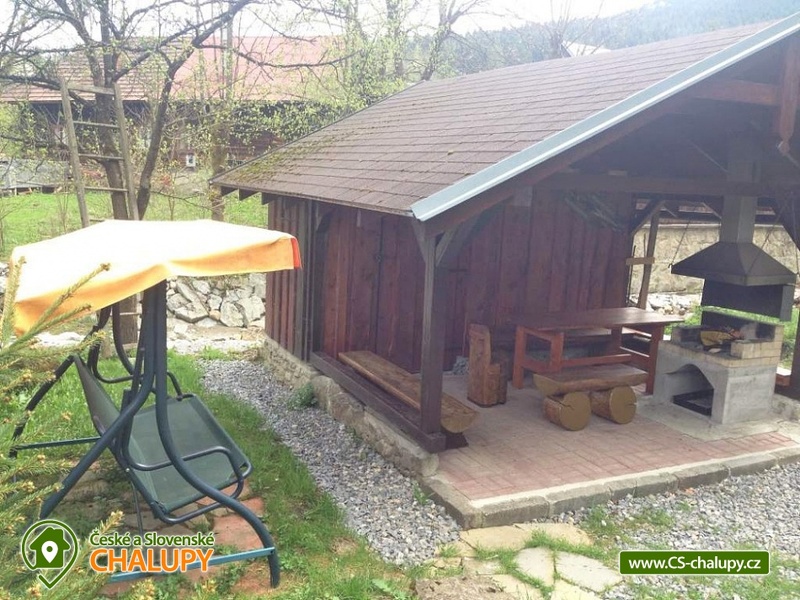 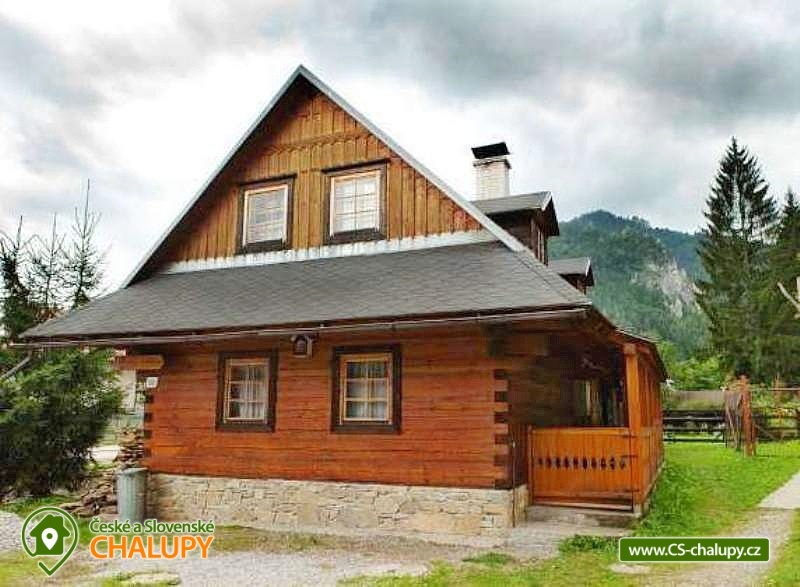 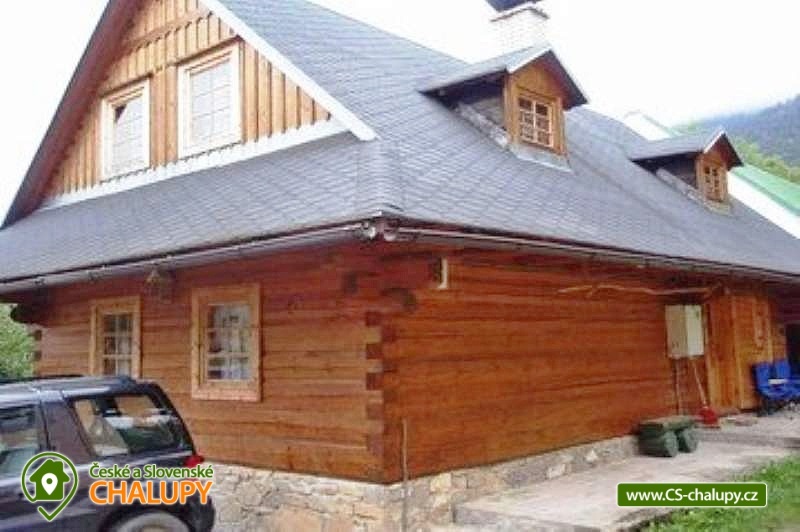 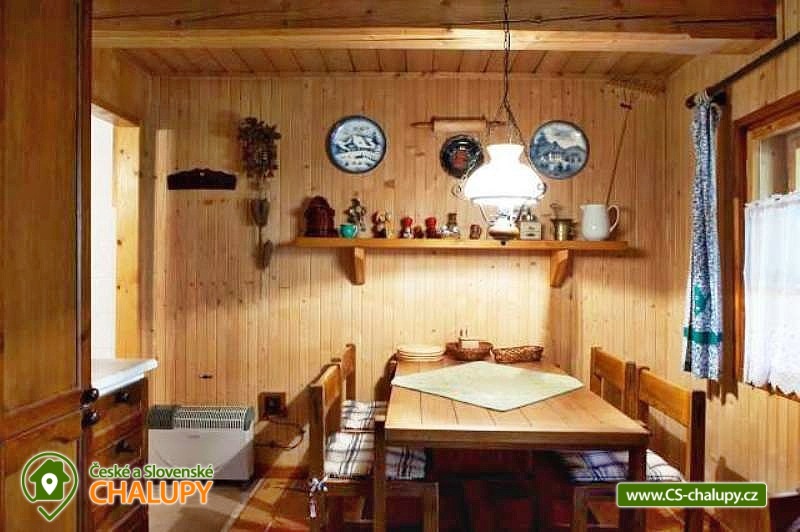 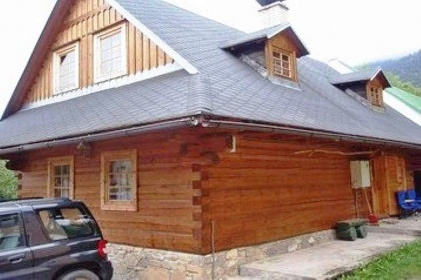 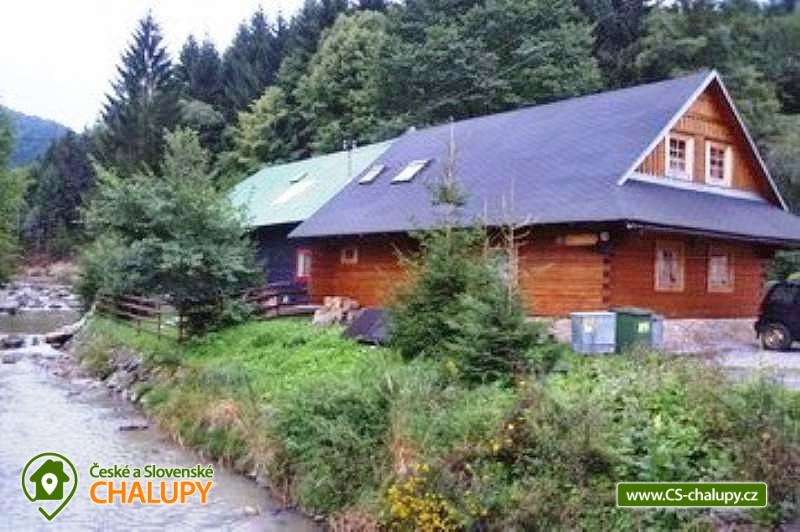 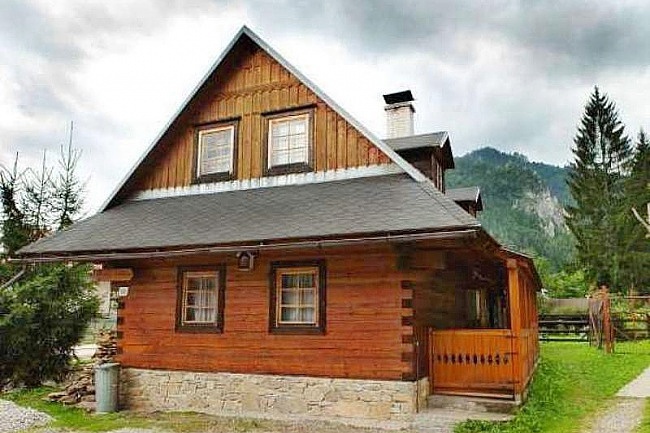 The Gabika wooden cottage is situated in the beautiful mountainous environment of Malá Fatra, in a quiet, marginal part of the picturesque village of Terchová. 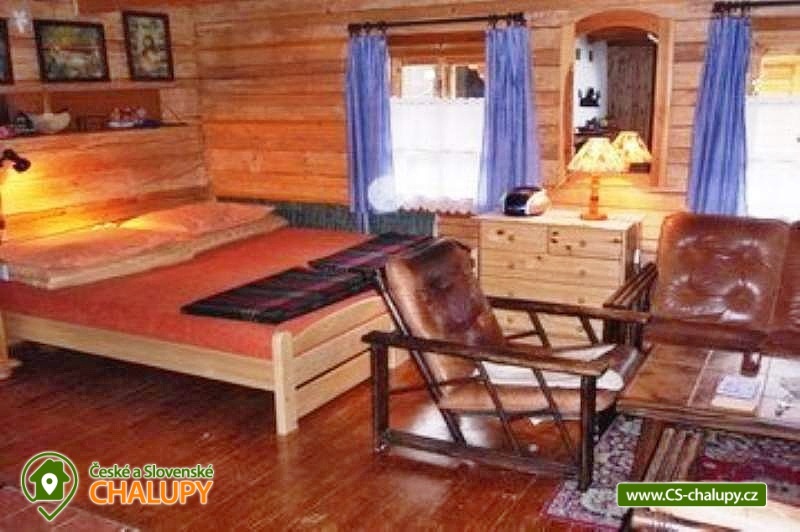 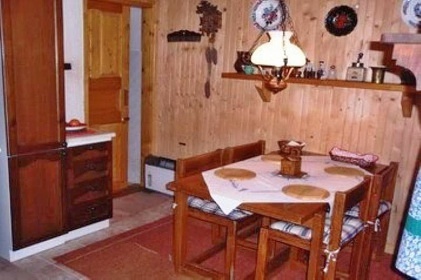 The cottage can be rented as a whole to 1 group of clients, or both apartments (each on one floor) separately. 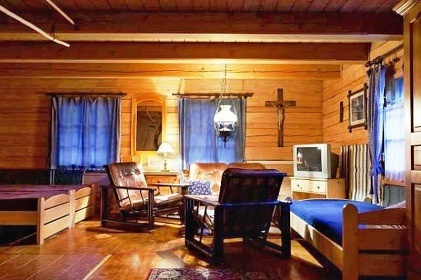 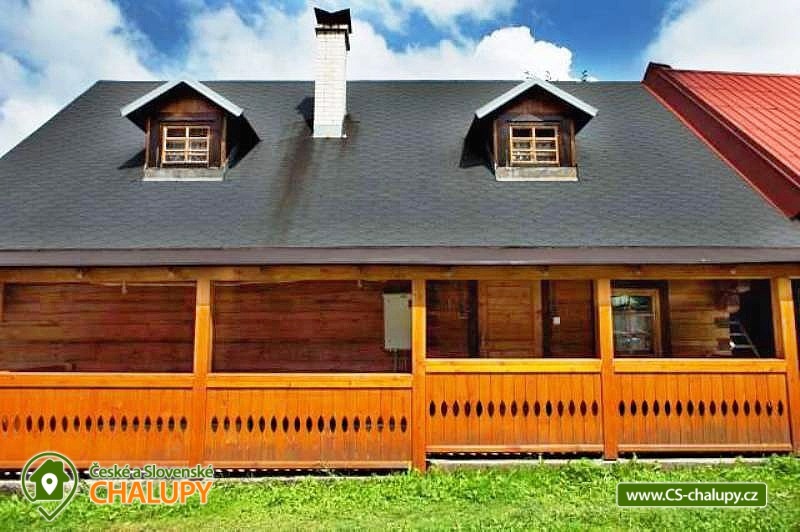 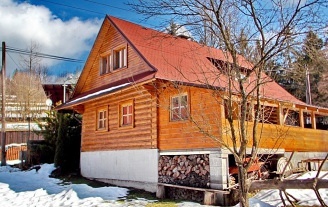 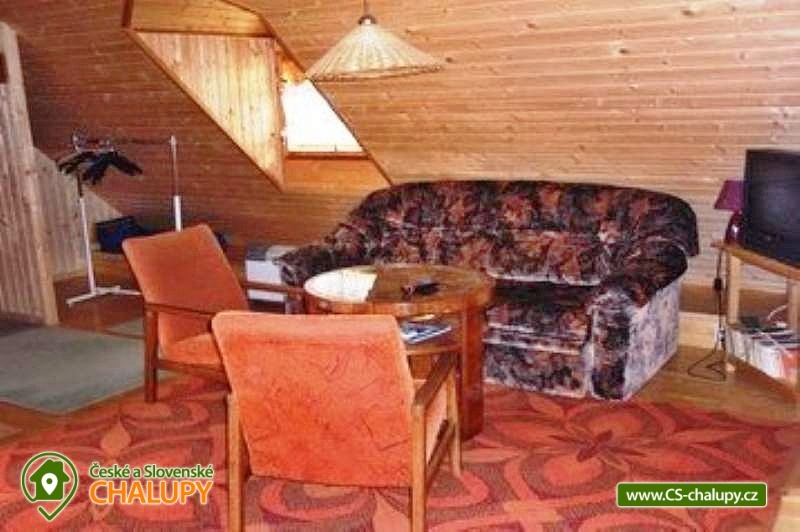 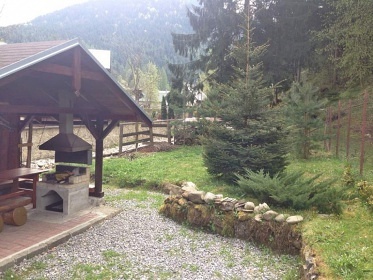 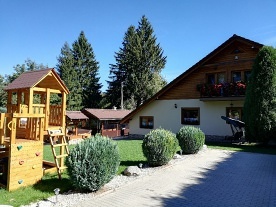 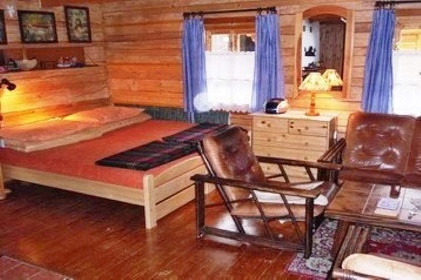 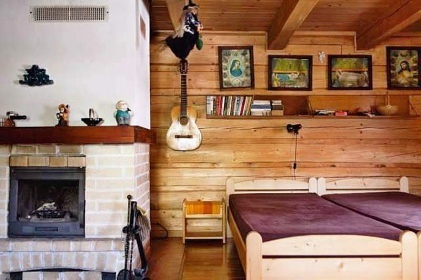 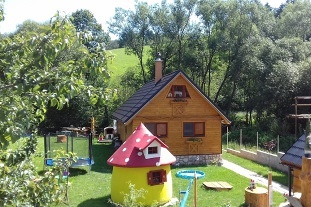 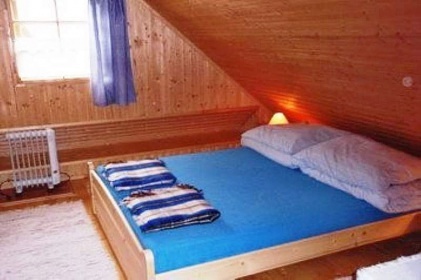 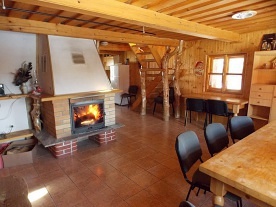 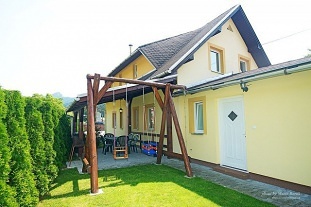 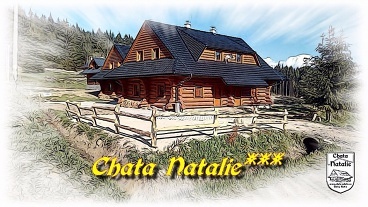 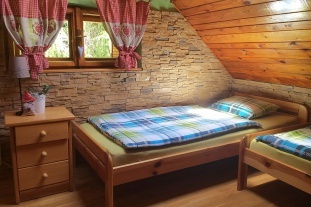 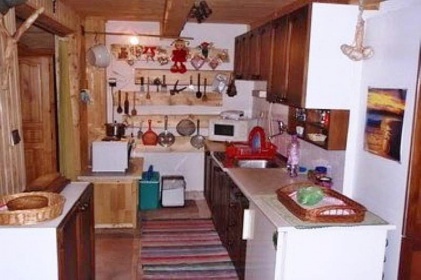 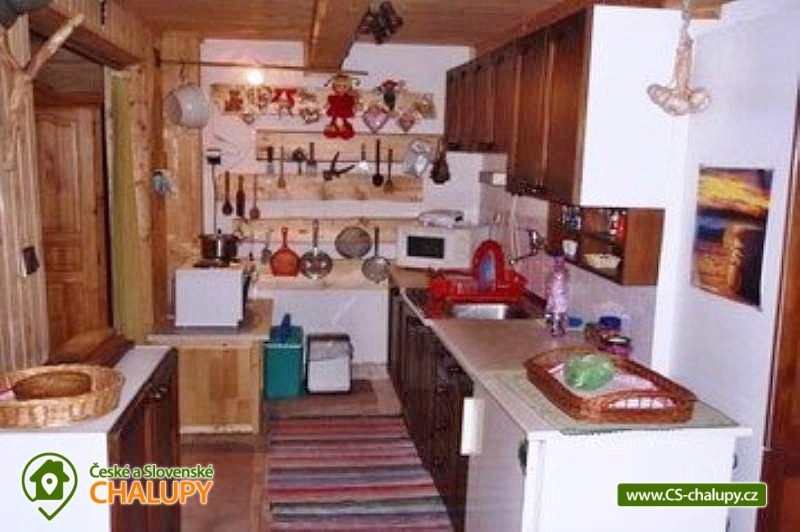 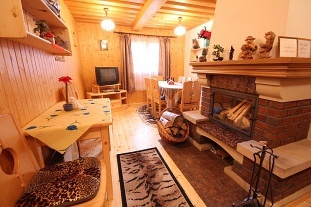 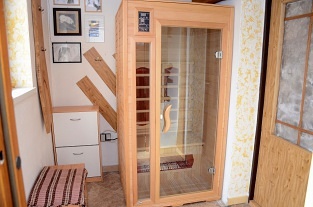 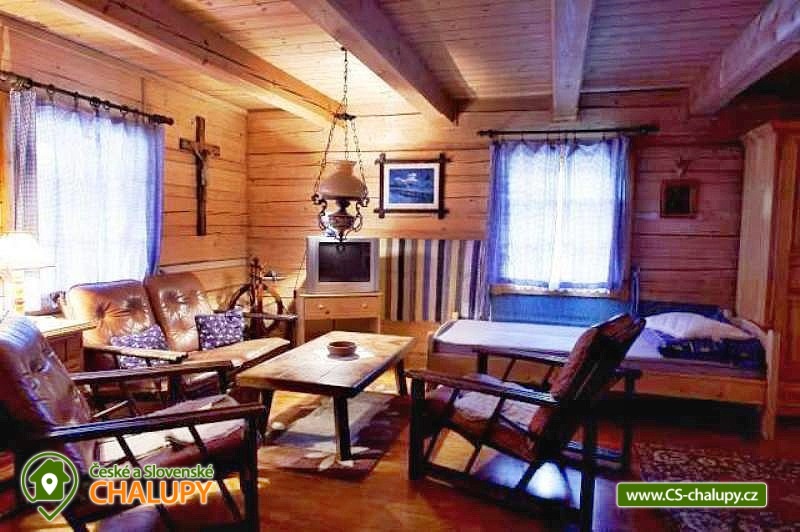 We offer our guests comfortable accommodation in a stylishly furnished wooden house that is suitable for accommodation of 8 to 9 people with its unique layout. 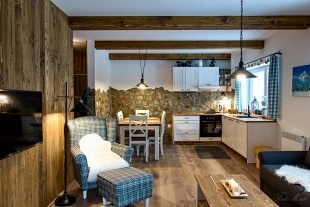 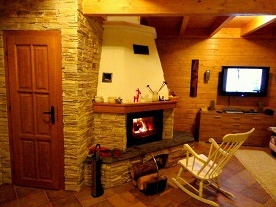 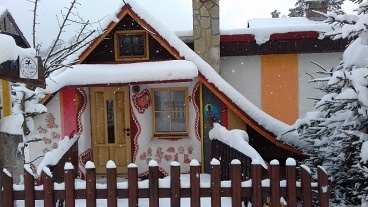 Since the wooden cottage consists of two separate and fully equipped apartments with their own entrance, the accommodation is very suitable not only for one group of guests and for individual couples or families with children. 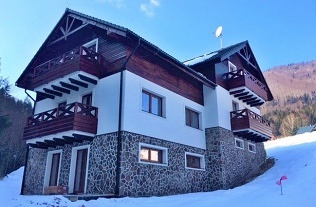 The ground floor apartment has a capacity for 4 people. 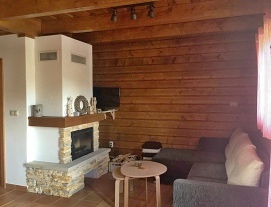 It consists of one spacious open-plan room including a bedroom with beds, a fireplace, a TV and a fully equipped kitchen with a dining area. To prepare your own delicious meals, you can use an electric stove with an electric oven, a refrigerator with a freezer, a microwave and an electric kettle. 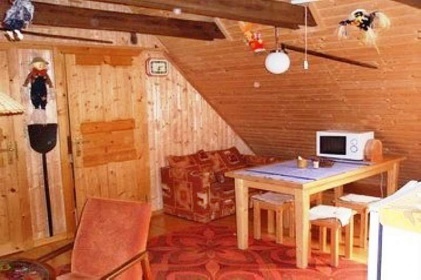 Of course the apartment has a private bathroom with a toilet. 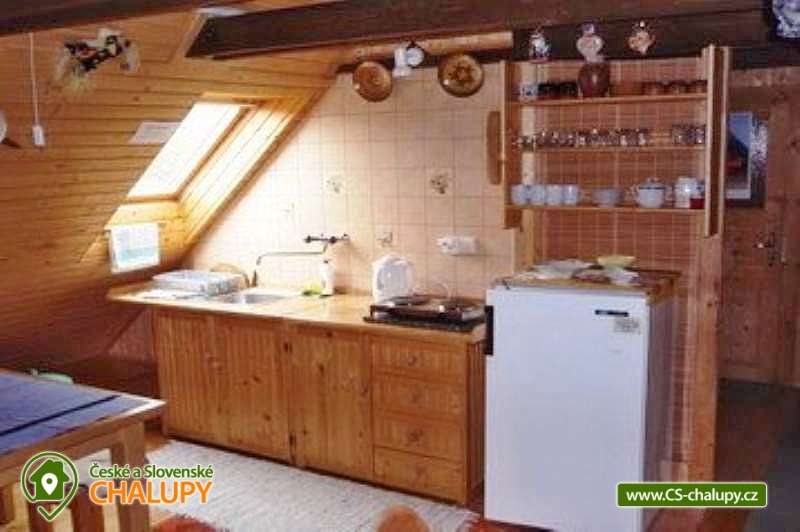 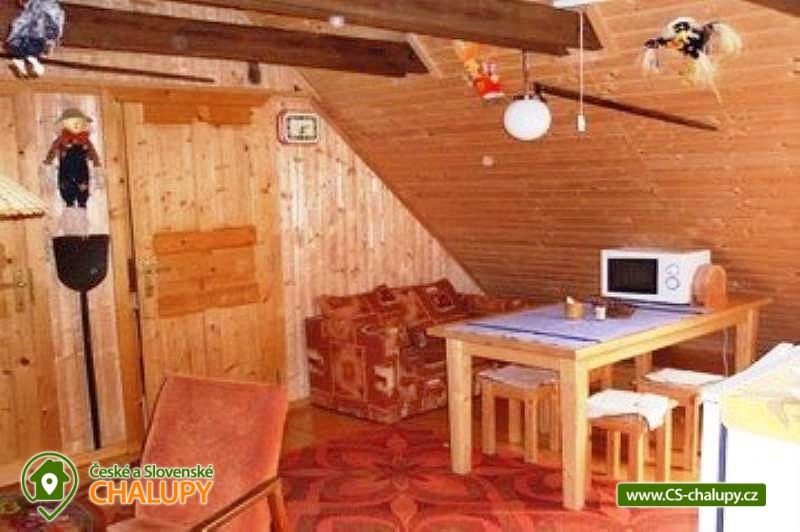 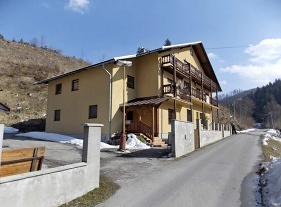 The apartment on the floor is adapted for a comfortable accommodation of 4 to 5 people. 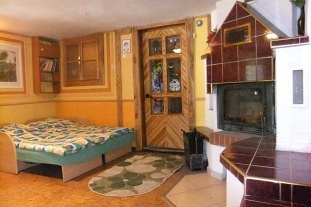 There are two double bedrooms and a comfortable living room with a seating area, a TV and the possibility of using one extra bed. 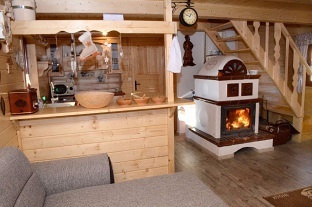 The living room is also connected to a fully equipped kitchenette with an electric cooker, a microwave, a kettle and a fridge / freezer. This suite also includes a private bathroom with a toilet. 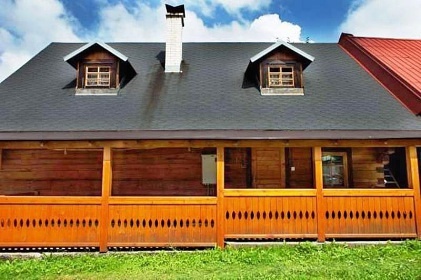 The wooden house includes a covered garden sitting with the possibility of grilling, an open fireplace and a garden swing. 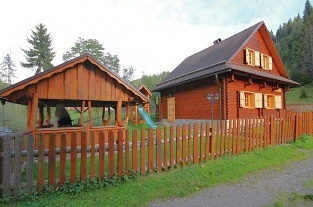 Parking is provided directly at the wooden house. 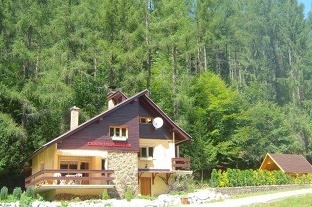 Terchova and the surrounding area offer many opportunities for spending your holiday. 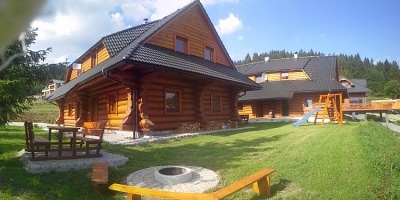 In the summer they will come to their tourists and cyclists (Malá Fatra, Jánošík's Holes, Vratna Valley). In winter, you can go skiing in the Vratná Valley in the modern ski resort. 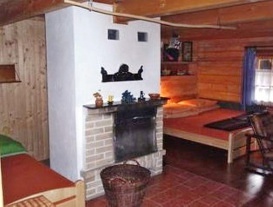 A number of festivals, folklore festivals and various cultural events take place annually in Terchová. 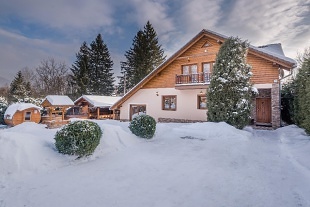 You can relax in the recreational and information center of Terchovec directly in the village, you can also enjoy the rest in the nearby Wellness Hotel Rozsutec or Wellness Resort Drevenice Terchová Resort. 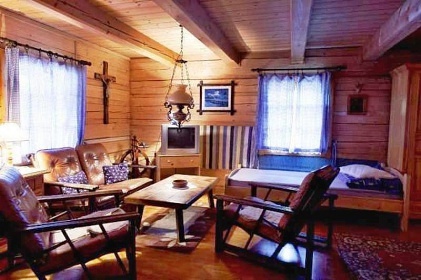 In winter, you can quickly reach the ski slopes of the Vratna Free Time Zone ski lift with more slopes.